We don’t want to sell you a car, we want to help you buy one! Simply stated we will always need you, a satisfied customer, more than you will need us. 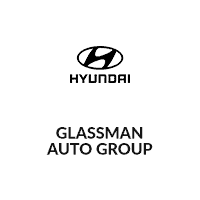 That’s why at Glassman Automotive Group you will find our smiles are just as wide, our handshakes just as friendly, and our commitment to you just as strong throughout your ownership experience. So the next time you’re approached on the sales floor or in the service lane, don’t be surprised if it’s from me, George Glassman. That’s just the way I run things at Glassman Automotive Group. In fact, I believe it’s the only way to run things. Trust is never a given, must be earned, and I know that. So make the trip from Metro Detroit, Troy, Novi, or Waterford to Glassman Auto Group and let us take care of all your automotive needs.